Looking for a dress on a budget? 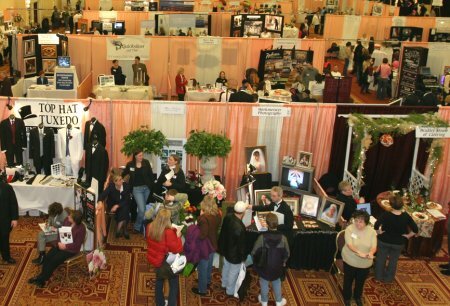 Check out the Bridal Showcase by Goodwill on 2/25 from 9a – 3p in St Paul! I’ve had the privilege of volunteering on the planning committee for the last few months – and am super excited about the event! No, these aren’t just old, dusty dresses donated by random people to Goodwill. These are designer dresses donated by local bridal shops – and priced to sell! No dresses are over $600! Come check out some dresses, try some on (and get alterations help on site! ), eat some food and meet some local wedding vendors. Get more information here. So, have you lovelies heard about ForeverTV yet? ForeverTV is internet television based here in the Twin Cities that offers a variety of episodes on wedding planning topics for brides. They keep an inventory of local wedding experts that offer special deals for ForeverTV’s VIBs (Very Important Brides). ForeverTV has a great group of vendors that offer some great deals to VIBs – if you haven’t signed up yet to be a VIB…do it! On Saturday, 2/18/2012, ForeverTV (and some really great sponsors like ME – yes, they’re letting me help!) are hosting a VIB cocktail party! The event is at Carlson Towers and is going to be faaaaabulous! Come check out ForeverTV, meet some great vendors and enjoy the party! Register for the party here. 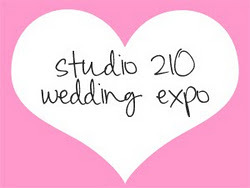 Come stop by the Studio 210 Wedding Expo to meet lots of great Twin Cities wedding vendors! Come see me and many other vendors at the Maple Grove Wedding Expo this Saturday! Bride Support is having a drawing for a FREE day-of coordination package giveaway! Don’t miss out on the opportunity! All entries into the drawing will receive 20% off any booked services.